Baby monkeys love to cuddle and this extra cozy security blanket will have your baby wanting to not let go. The gentleness of the fabric and inviting smile of the baby monkey will make your cutie feel warm and secure. 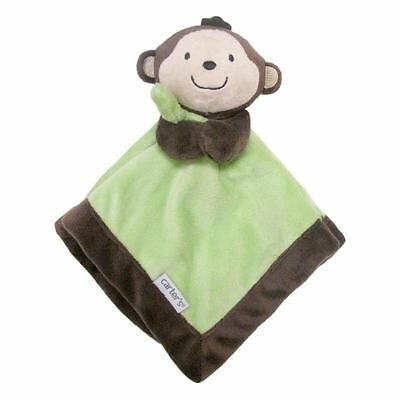 The Carter's Black/Green Monkey Security Blanket with Plush Features: Your sleepy sweetie will love snuggling up with this cozy Carter's Monkey Security Blanket! It's ultra soft, and the attached monkey plush is just the right size for Baby to cuddle.